People are looking for activities around the campsite and in the area and we noticed that they did it by using the terms "Limousin". This area is no more used. It doesn't exist anymore. The campsite Au Soleil d'Oc, which is situated in Limousin, actually belongs to the New Aquitaine, the largest region in France. For tourists, Limousin can mean many things that we will explain. It has deep roots among tourists. What is the exact location of the camping limousin Au soleil d'Oc ? The camping Au Soleil d'Oc is located at Escourbaniers, the name of the locality of the commune Monceaux sur Dordogne. Monceaux sur Dordogne is a tiny village of fewer than one thousand inhabitants. The change for the administration occurs the 1st January 2016. A change which is a big opportunity for the area Limousin. It develops good links between others areas such as Aquitaine, Poitou Charentes. All these three regions are gathered under the New Aquitaine. More and more debates started in cultural, social or environemental values. Has the region Limousin still a meaning with New Aquitaine? The campsite Au Soleil d'Oc remains a camping in Limousin. Cows also belong to the image of the region with the "race limousine"
In the beginning, the camping Au Soleil d'Oc was a farm: around forty years ago, the fields of the campsite were only for "limousines" cows. Family Graffeuil has developed across the generations the farm. 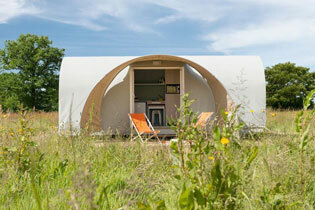 Campsites in Limousin keep on being developed in the respect of the environment. It is a real source of welfare. The biggest city in Limousin is Limoges which represents around one-third of the region population. Expect Limoges, the area has many villages ranked "most beautiful villages in France", among the famous one there is Collonges la rouge or Turenne. These villages are creating the reputation of the area and always attract more tourists every year. 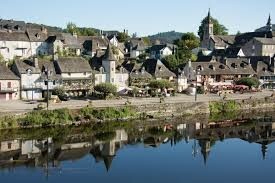 By the way, we put a small itinerary of the most beautiful villages in Correze in this article. For sportive activities, the best is to go to the Dordogne. For instance, many treks are organized around the campsite. It is also possible to start a rando for a couple of days in canoe kayak. Other structures organize via ferrata, hikes in the forests with waterfall, equitation, VTT, fishing and many things. 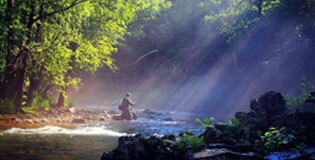 Limousin is actually a choice for a green location with a potential for outdoor activities.